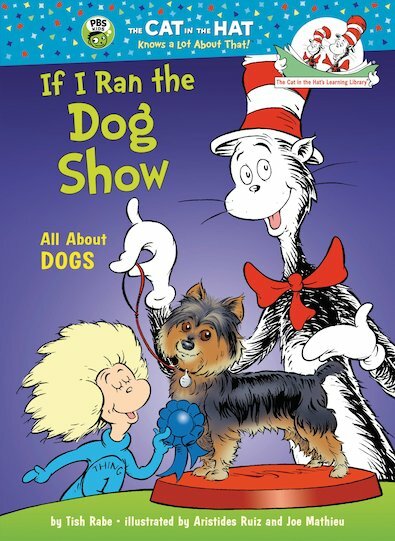 Sally, Nick and the Cat in the Hat are off to the Short-Shaggy-Tail-Waggy Super Dog Show! Get to know hounds of all shapes and sizes in this riotous rhyme! Find out how tails help dogs to balance, and why they can see better in dim light than we can. Or be amazed as these marvellous mutts perform all sorts of clever, athletic feats! Dig up dozens of fascinating dog facts in this bouncy rhythmic rhyme, full of cartoon pictures. Designed for dog-loving early readers who are comfortable tackling new words, it’s sure to get tails wagging!